The Joubert Group is always attentive to its customers and the markets. It develops regularly to respond to new needs. Today the Group offers six ranges of Okoume and Poplar plywood with clearly identified qualities. They are all strictly controlled and certified, guaranteeing optimum performance for each application. Their excellence in all fields contributes to everyone's satisfaction: easier machining and use, perfect finishes, up-to-date design, technicality, conformity and environmental stringency. 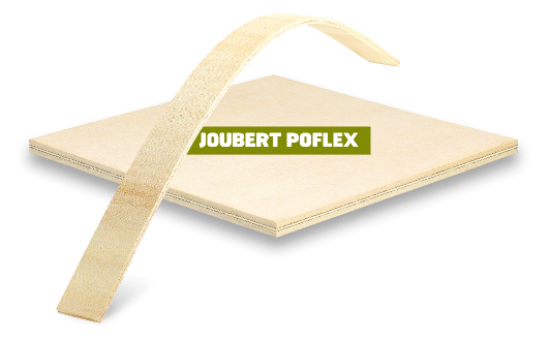 Joubert Plywood panels offer the best possible responses for each use everywhere in town, in eco-construction, decoration, industry, shipbuilding, etc. Access a world of responsible solutions in just a few clicks. Proven quality and multi-use: the essential plywood for fitting out, decoration and joinery. Lightness and flexibility: the entirely poplar panel certified of French origin for todays interior fittings. Reliability and aesthetics: already prepared supports to combine time saving in use and faultless finishes. Stability and resistance: the benchmark panels unanimously approved for exterior architecture. Technicality and specificity: excellent products devoted to the most demanding industrial applications. Demanding requirements and expertise: renowned panels in shipbuilding for their exceptional mechanical resistance.